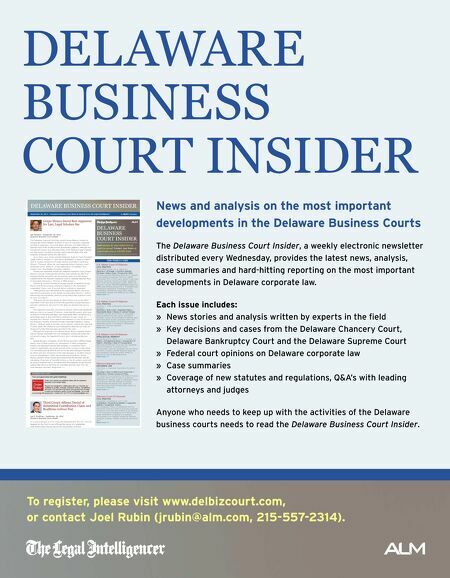 DELAWARE BUSINESS COURT INSIDER News and analysis on the most important developments in the Delaware Business Courts The Delaware Business Court Insider, a weekly electronic newsletter distributed every Wednesday, provides the latest news, analysis, case summaries and hard-hitting reporting on the most important developments in Delaware corporate law. 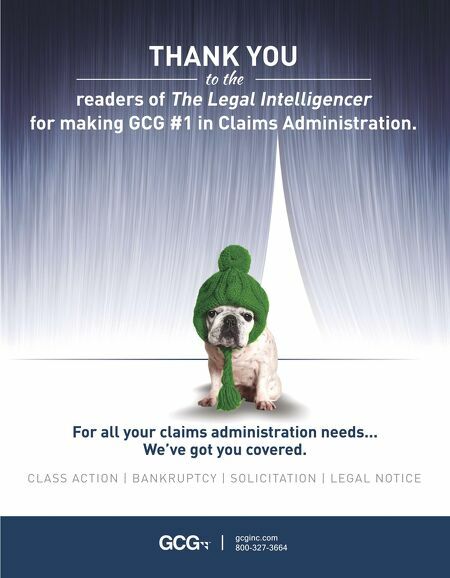 Each issue includes: » News stories and analysis written by experts in the field » Key decisions and cases from the Delaware Chancery Court, Delaware Bankruptcy Court and the Delaware Supreme Court » Federal court opinions on Delaware corporate law » Case summaries » Coverage of new statutes and regulations, Q&A's with leading attorneys and judges Anyone who needs to keep up with the activities of the Delaware business courts needs to read the Delaware Business Court Insider. To register, please visit www.delbizcourt.com, or contact Joel Rubin (jrubin@alm.com, 215-557-2314).